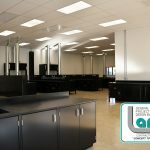 BGI Retail Corp. – Addition – LANCA Contracting Ltd.
Lanca has just completed a 28,500 sq.ft. building addition for BGI Retail Corp. located on 3 Adi Dassler Way in Paris, which consists of a pre-engineered Robertson building system structure with long span design. Walls are pre-finished metal siding, galvalume 24 gauge standing seam roof and interior wall liner. 6″ concrete floor is complete with non metallic fibre mesh and Ashford formula finish, infra-red tubular heating, T5 fluorescent lighting and a sprinkler system. BGI Retail Addition, Lanca Contracting Ltd.
Lanca Celebrates “40 years of Phil” at the Brantford Golf and Country Club. 1 Bedroom Executive Apartment – Available April 1st. © 2015, Lanca Contracting Ltd. All Rights Reserved. I consent to LANCA Contracting Ltd. collecting my details through this form.